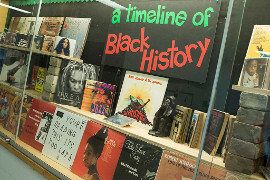 Georgian Bay Community School has been recognizing Black History Month by creating an interactive installation in the hallways of the school. The project consists of a timeline that spans from 2,000 BCE to the present day. The timeline begins (at the beginning of February) as just a rough sketch of history with a few key elements marked across the span of time for context: ancient civilizations in Africa, the emergence of Colonialism, the Atlantic Slave Trade, the Underground Railroad, the American Civil Rights Movement. The Meaford Curling Club hosted the North Division playoffs for the Bluewater Athletics Association on Wednesday, February 15. 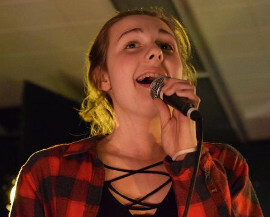 On Friday, January 20, the GBCS Music Department held their first Coffee House of the New Year. The show donated all of its proceeds to the GBCS Students’ Council, to help support the purchase of new team uniforms for the GBCS Thunder. 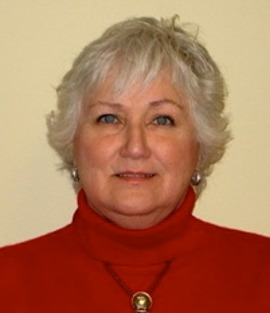 Through the appointment process as determined at the January 24, 2017 Regular Meeting of the Board, as permitted in legislation, Fran Morgan has accepted the position of Trustee for the remainder of the 2014 – 2018 term. She will be sworn in at the February 21, 2017 Regular Meeting of the Board.